Milwaukee M18 Fuel™ CIW12 Fuel Compact Impact Wrench at less Than 155mm in length, delivers maximum performance in a compact body. 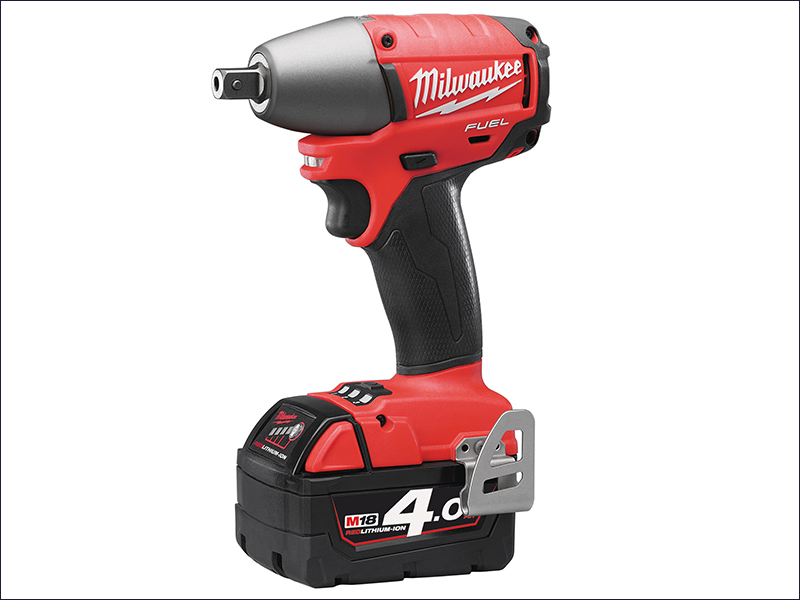 It features the Milwaukee® DRIVE CONTROL™, which allows the user to shift into different speed and torque settings to maximize application versatility. Supplied with 2 x 4.0Ah REDLITHIUM-ION Batteries, Charger, and Kitbox.